HP is currently promoting a deal that will give gamers a chance to properly test out a system that includes an Nvidia GeForce 20 series GPU. 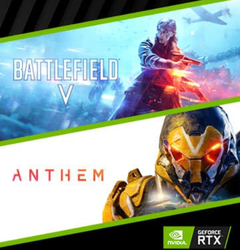 The manufacturer is giving away either Battlefield V or Anthem with qualifying PCs that have an RTX 2070, while both titles can be obtained for free if an RTX 2080 or RTX 2080 Ti gaming desktop computer is purchased. There’s no denying the new Nvidia GeForce 20 series is having some teething problems. OEMs are having to come up with ways of enticing gamers away from PCs with Pascal-based graphics cards and tempt them into buying a more-expensive Turing-based GPU system instead. HP has decided that a good way of doing this is to allow the gamer to get a true feel of what an RTX 2070, RTX 2080, or RTX 2080 Ti GPU can produce in terms of their ray tracing capabilities and DLSS ability (Deep Learning Super Sampling). To do this, HP is offering either Battlefield V or Anthem to purchasers of systems that sport an RTX 2070 card. Those willing to splash out even more on a desktop gaming PC will be able to get both games for free if their choice contains either an RTX 2080 or RTX 2080 Ti GPU. With these computers, gamers should be able to enjoy the full potential of Nvidia’s high-end GeForce 20 series. But it’s important to keep some things in consideration, like the fact that although Battlefield V has been confirmed to be able to utilize ray tracing and DLSS the same cannot be said for Anthem. The latter game, which is scheduled for release on February 22, will feature DLSS just after launch but plans for ray tracing are still up in the air. Bearing this is mind, HP gaming desktop buyers may want to opt for Battlefield V to test out their brand-new RTX 2070. 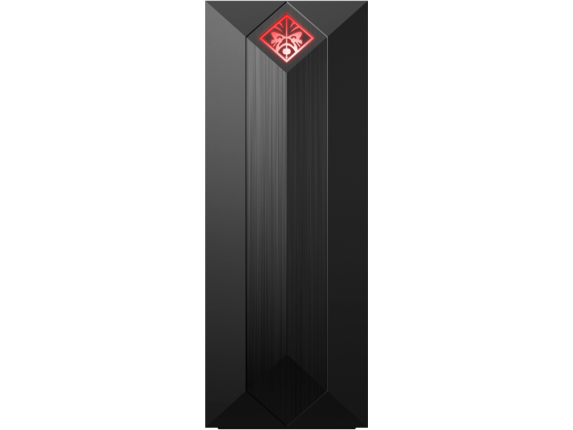 Those who fancy an Omen Obelisk with an Nvidia GeForce RTX 2080 inside will get both games anyway, within 30 days of initial purchase (instructions sent by email). 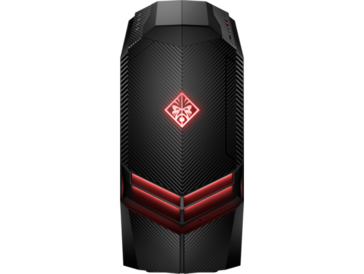 If that HP Omen desktop PC with an RTX 2080 Ti is the only choice, then don’t take too long pondering over it; the HP “Game On” free game/s offer is only valid through February 25.